See what our volunteers get up to on Canal Camps! WRG offers a wide variety of work attracts a wide range of volunteers at home and abroad last year we welcomed international volunteers from Australia, USA, Spain, Italy, Germany and France. In addition, WRG helped 64 students Duke of Edinburgh Award students complete their Gold Duke of Edinburgh Award residential. Our volunteering holidays act as a catalyst to a canal restoration project making significant progress on a site in just one week. 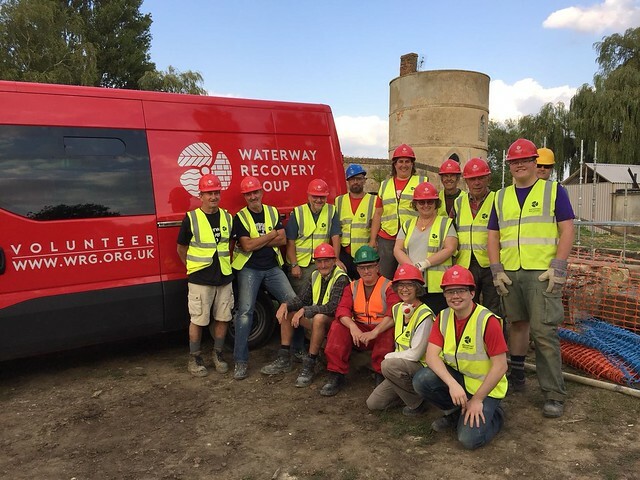 Working together WRG volunteers can achieve great things such as building a canal basin and new section of canal, restoring a flight of locks, removing tonnes of rubbish from a canal or even rebuilding a bridge. Check out the best bits on flickr and see what a WRG Canal Camp looks like! See the slideshow on Flickr.